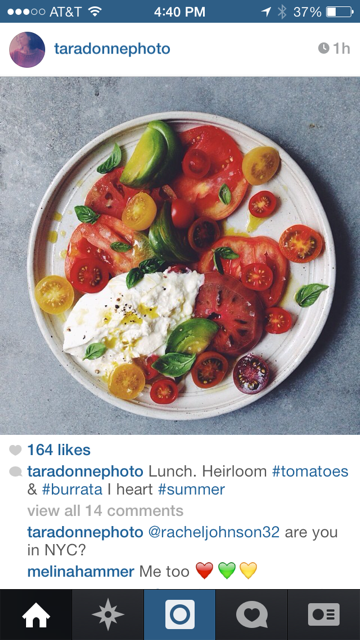 Tomatoes, basil, corn, stone fruits, lobster, berries, al fresco dining! It’s the most wonderful time of the year. 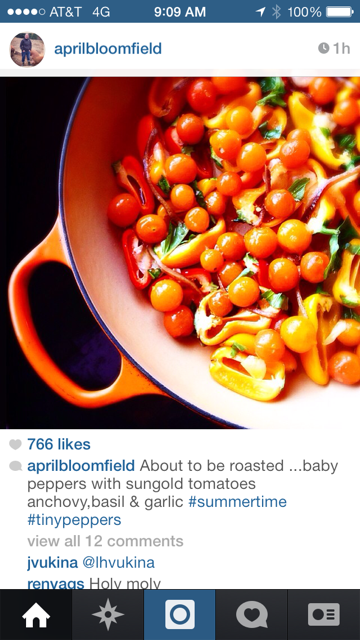 Sure, I could throw you to the DALS archives for a little tableside inspiration (our summer salad series comes to mind at once) but instead, I thought I’d show how a few of my favorite instagrammers are celebrating the bounty. I’m pretty sure everyone I know has made his or her own version of Vongole in the past week — including us. (For proof, see mine and @andyward15‘s feed.) 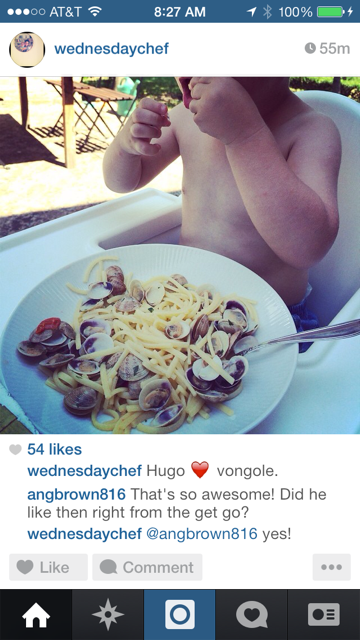 But I’m certain only @wednesdaychef‘s sweet little Hugo was cute enough to get away with eating it shirtless. It’s pretty hard to convince me to do anything with an apricot besides eat it out-of-hand and whole, but this treatment? Roasted with ricotta and honey? Yeah, this might be the exception. 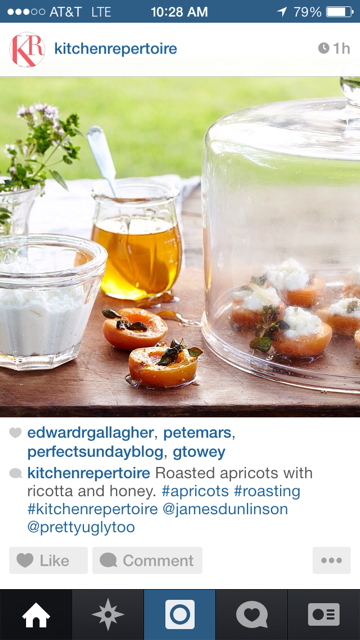 Nice, @kitchenrepertoire. 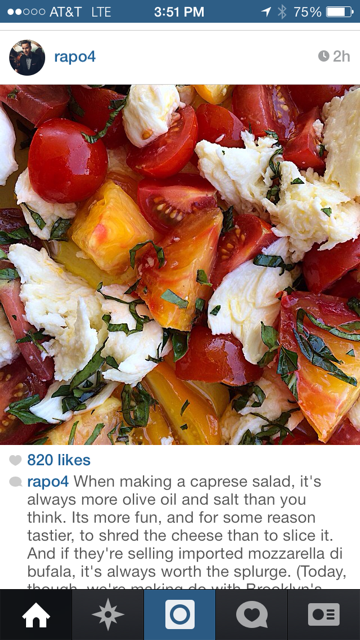 Again, tomatoes and mozzarella, but @rapo4, as always, gives you a little learning in the caption. More olive oil and salt than you think — OK, then! And…another from @allie. 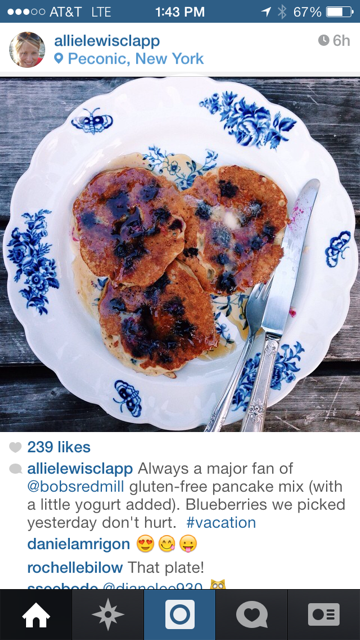 I’m not gluten-free, but these shortcut GF blueberry-packed pancakes might have to end up on my breakfast table anyway. 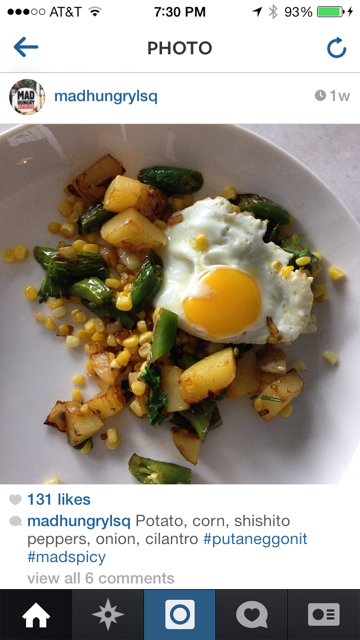 @madhungrylsq — always good for a little breakfast love. I’m totally throwing corn and shishito peppers into my next weekend hash. Everything @chefjodywilliams makes looks like the best version of itself (even when it’s blurry!) 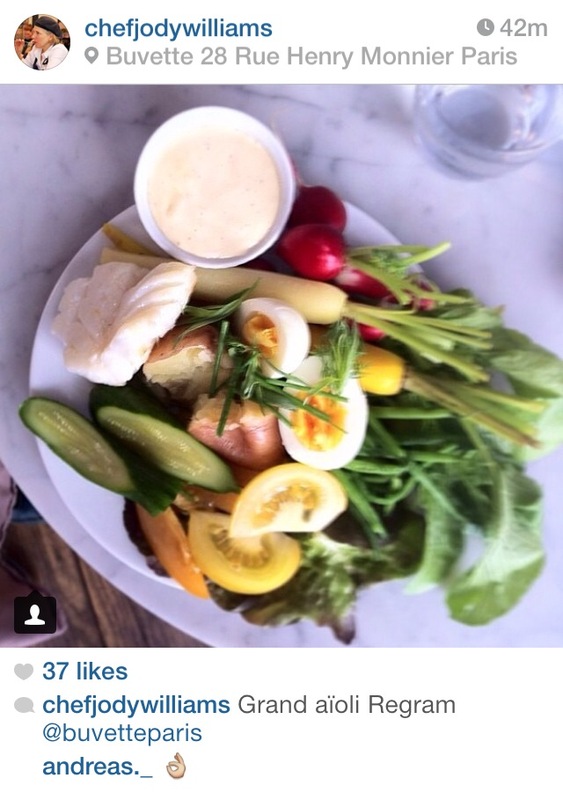 There’s aioli in my fridge right now thanks to this gram. I had a few of @brad_leone‘s mad-scientist green juice concoctions when we were working in the same office last year — and I really like how this one has taken a decidedly tropical turn. 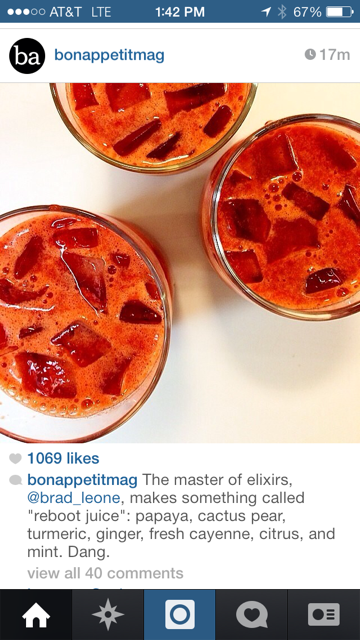 Time to rev up the Vitamix. 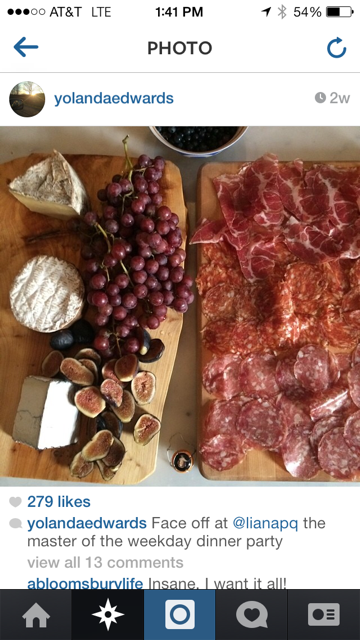 I’m not entirely sure what was going on here with the face-off — all I know is that 1) those are some gorgeous looking summer figs right there and 2) @lianapq and @yolandaedwards were some lucky party girls. Yes, lobster rolls! Headed to New England in 2 days to get my fill of lobster, fried clams, and chowdah! May have to take my jar of purple basil-infused simple syrup with me for those fabulous gin cocktails. cheers! 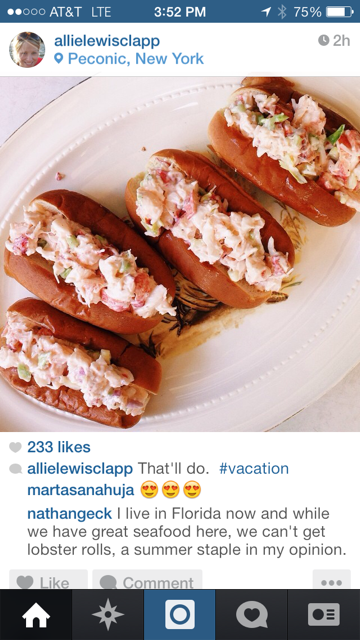 Now i really want to try lobster rolls! 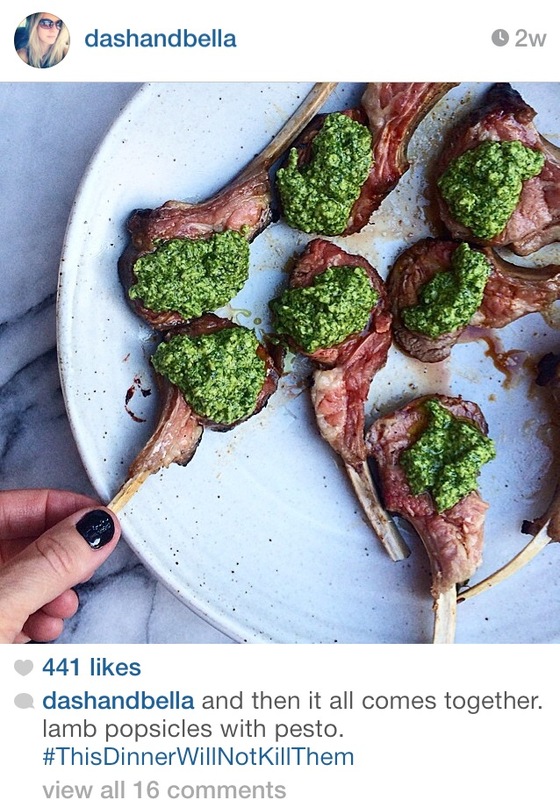 Also those lam popsicles look delicious.